LOTE Libraries Direct Pty Ltd reserves the right to change these Terms at any time, so please check at regular intervals for any changes. Continued use of the website following any change to these Terms means the user accepts the amended Terms. This website and its content is operated by LOTE Libraries Direct Pty Ltd (ABN 83 154 695 191), Suite 5, 481-483 Parramatta Rd, Leichhardt NSW 2040 Australia. By using this website you are bound to these Terms. Pricing is not displayed on the website. The website is intended to be used as an order enquiry tool and all order enquiries submitted through the website are subject to availability and acceptance by LOTE Libraries Direct Pty Ltd.
Customers/users/library clients can browse titles of interest in various languages, add them to a shopping cart and then submit the title list to us. As stock is not kept in-house, all titles listed on our website are subject to availability at the time LOTE Libraries Direct Pty Ltd staff enquires or places an order with our international vendors that supply the goods in question. As such, users should be aware that not all titles on the submitted website order enquiry may be available. Once a website order enquiry is received, LOTE Libraries Direct Pty Ltd staff check the availability of each title with our international vendors and then supply an individual quote via email to the customer. This quote is always supplied in Australian dollars and a library client will only ever be charged in Australian dollars. Pricing is always quoted excluding GST and can be subject to change, however we never proceed with an order or invoice a client without first confirming the price. Any quote or pricing received for goods (based on a website order enquiry or obtained any other way – verbally or via email/fax) excludes cataloguing and processing costs. LOTE Libraries Direct Pty Ltd works with another Sydney-based shelf-ready business and can obtain cataloguing/processing quotes on behalf of a customer if necessary. There is no minimum order size. We can order a single book if required (dependent on availability). However, as nearly all items are sourced from international language vendors, larger orders are preferred as it keeps the cost of shipping down (for us, and for customers). Pre-payment is not required (unless for magazine subscription). We invoice on 14 payment terms (but can also accept 30 day payment terms) and we accept payment via Bank Transfer. All relevant information is provided on the invoice. LOTE Libraries Direct Pty Ltd reserves the right to correct any unintended errors in relation to product availability/descriptions, or price offered in the subsequent written quote. 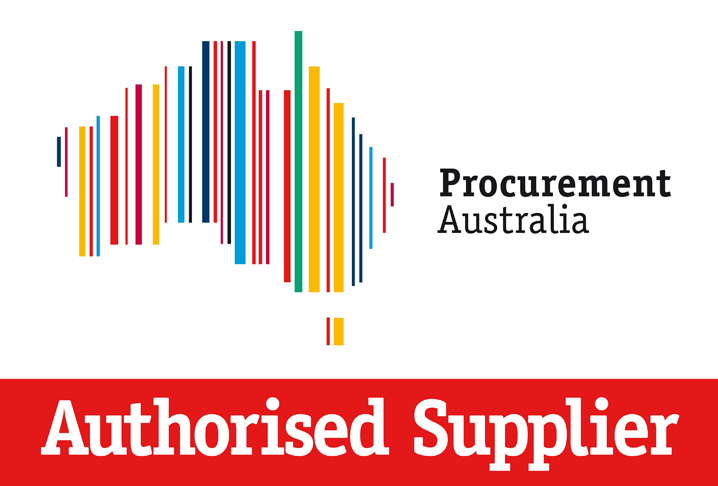 In initial ordering steps, LOTE Libraries Direct Pty Ltd may cancel an order without any liability to the customer if any of the order products are unavailable, or if there were any inadvertent errors (technical or other) at the time of placing an order. If we cancel an order for any reason, a customer will be notified in writing (via email). A customer may cancel an order, provided we have not made payment to our international vendors, and that the items have not already shipped to Australia. Get in touch with us as quickly as possible to arrange a cancellation (sam@lote-librariesdirect.com.au). At this point in time LOTE Libraries Direct Pty Ltd does not ship items to overseas/international clients. We ship client’s orders only within Australia. Within Australia we use couriers or Australia Post eParcels for reliable and traceable shipping. Delivery times depend on whether goods are catalogued/processed or not. These timeframes are a general guide only, and many factors can impact on the delivery of goods (such as the time it takes to procure the items internationally and the shipping time to Australia, quality control carried out by us when the items arrive, and the time it takes to process at the cataloguer). At LOTE Libraries Direct Pty Ltd we take every step to ensure client satisfaction, so if our rigorous quality control processes slip-up, we will issue a credit note if goods received by a client are damaged or unusable and it is deemed to be our oversight. We need to be advised in a reasonable timeframe (for example, upon receipt at a library we would consider it reasonable to report any defective/damaged items within 2-3 weeks), and certainly before the item goes on the shelf/is borrowed by any patrons. At that point we do not accept any responsibility for damage. We must be notified in writing, so please contact sam@lote-librariesdirect.com.au with any concerns. There is no need for the damaged item to be returned to us. We offer credit notes instead of replacement titles, as nearly all items we source have been purchased from overseas and the process of replacing an item is extensive and expensive. At times it is also simply not possible to source a replacement title (due to lack of availability/stock). Unless otherwise specified, LOTE Libraries Direct Pty Ltd owns all copyright of the text and images on the website. All registered or unregistered trademarks/logos used on the Website are the property of their respective owners. You agree that viewing/using the content of this website is for your own personal non-commercial use. Unless you have prior consent, you must not copy, reproduce or distribute any part of the website. You can only use the LOTE Libraries Direct Pty Ltd website for lawful purposes and agree that you will not use it in an immoral or unethical way, or to interfere with or violate the rights of LOTE Libraries Direct Pty Ltd or any third party in any way. LOTE Libraries Direct Pty Ltd makes every effort to make sure our website is free of viruses or other malicious content but we cannot guarantee that using the website will not damage your computer/other device(s). Therefore you agree that you are responsible for your own equipment’s protection and anti-virus software to ensure this website is used safely. You must not use any type of malicious software or programs that are designed to disable, damage or interfere with all or any part of this website. Cookies may be used on some areas of our website. A cookie is a small file that a computer browser stores on a user’s hard drive and may be used to recognise repeat users and their preferences. Most browsers have an option that allows users to turn cookies off. A user can do this and still use the website. LOTE Libraries Direct Pty Ltd updates the website regularly, however we cannot guarantee the accuracy of any information or services listed on the website. LOTE Libraries Direct Pty Ltd does not guarantee that the website will be uninterrupted or error free. We will not accept responsibility if this site is unavailable as a result of downtime, fault or any other factors that we cannot control. Except where prohibited by law, LOTE Libraries Direct Pty Ltd will not be liable to you for any loss, damage, liabilities or claims and expenses that you may suffer due to use of the website, including use of any information on it. You use the internet and the website at your own risk. LOTE Libraries Direct Pty Ltd reserves the right to remove a user’s access to the website for any reason (including upgrades and/or maintenance of the site). LOTE Libraries Direct Pty Ltd may vary these terms from time to time and by continuing to use the website you consent to these changes. It is the user’s responsibility to regularly check these terms for any changes. If any of these Terms are unenforceable or held to be invalid, the Terms in question will be removed from this agreement and amended Terms will remain in force. Any failure by LOTE Libraries Direct Pty Ltd to act or enforce these Terms immediately will not be considered a waiver of LOTE Libraries Direct Pty Ltd’s right to take any necessary actions.